On January 14 and 15, a basketball club «Astana» held the second series of matches against «Barsy» Atyrau in the framework of the regular championship of the National League. 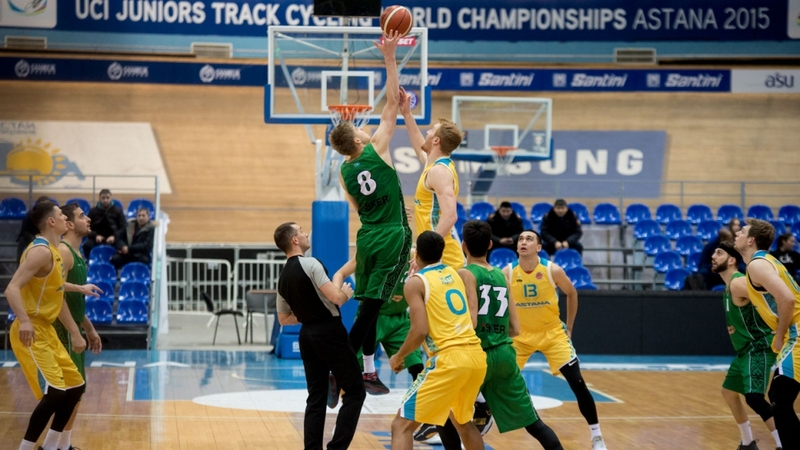 “Barsy Atyrau” lost the first two games with “Astana” in the season, but compared to those games, Atyrau's roster has changed significantly and today the white-greens gave a serious fight to their rivals. First match: according to the results of the first two quarters, the game was equal and only the last three-pointer by Astana player, brought them forward — 34:31. But at the start of the third period, the hosts played effectively in offense, thanks to which they won this quarter with a ten point advantage. But “Leopards” did not give up and played well in the final quarter, reducing the gap to four points. But they did not manage to spot the hosts; “Astana” won anything but a simple victory with a score of 82:74. Second match: In the first period, the hosts scored thirty points and after ten minutes had a double-digit advantage. The second quarter went on equal terms and ended with an equal score, in such a light, the first half ended with the same double-digit advantage of “Astana”, 52:41. In the third period, the guests tried to recoup themselves, but in vain, and they eventually lost another seven points. The final period was a matter of technique, in which the capital players are savvy and as a result, they gained another confident victory — 96:77. The top scorers: Alexander Zhigulin became the leader of the first match of the series, who not only scored the most points but thanks to him, «Astana» made the main breakthrough at the start of the third period. Anthony Clemmons can rightfully be called the best player of the second game, who lacked only one accurate pass to triple-double (18 points, 13 rebounds, 9 assists, and 3 steals). The next match will take place next Sunday, on January 20, Astana players will visit Krasnoyarsk, where they will meet with the local basketball club «Yenisey» within the regular season of the VTB United League. The next series of matches for “Astana” in the framework of the regular championship of the National League will also be held at home, on January 23 and 24, the capital basketball players will host the team of «AGU Barsy Atyrau» on their court.